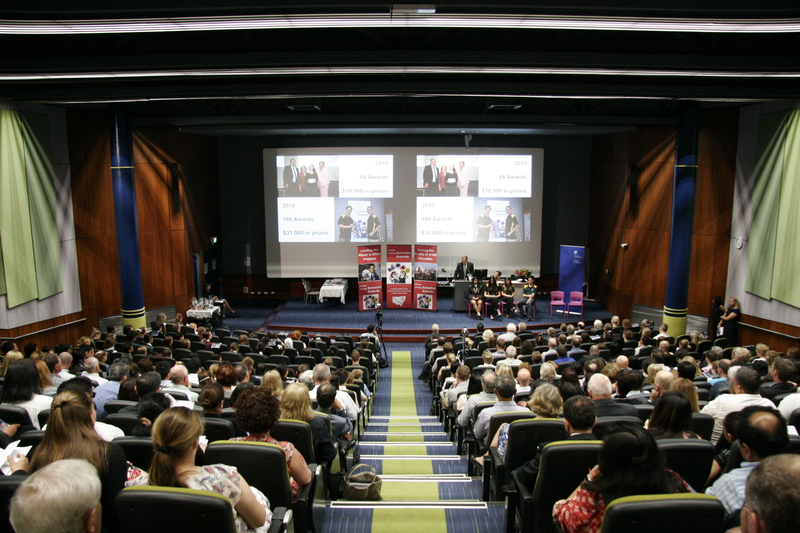 Over 300 excited students, proud parents and special guests filled the Main Lecture Theatre in McKinnon Building in the University of Wollongong on Wednesday 31st October 2018 for the annual Presentation Ceremony. The special guests included our 2018 ISEF student delegates Jade Moxey, Angelina Arora, Macinley Butson, Lachlan Bolton and Oliver Nicholls. These award winning students along with our inspirational keynote speaker Eddie Woo lifted a simple awards ceremony into an inspirational and uplifting evening. We were treated to a multimedia presentation of the experiences of the team at ISEF 2018 in Pittsburgh that was put together by Lachlan Bolton. It reminded those of us privileged to have shared in the experience of the disbelief, excitement and overwhelming pride we all shared in when Oliver won the Gordon E.Moore award. 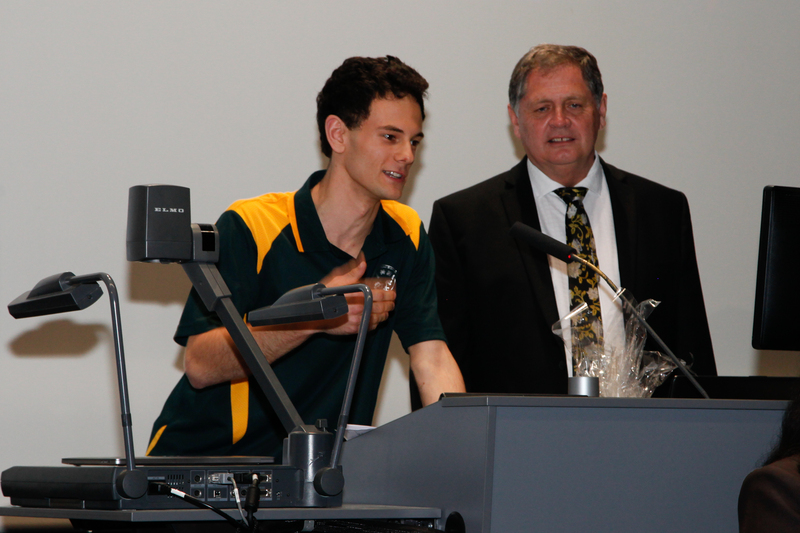 Oliver’s interview with Stuart Garth – our ISEF Fair director – would no doubt have proved inspiring to the young students in the audience. 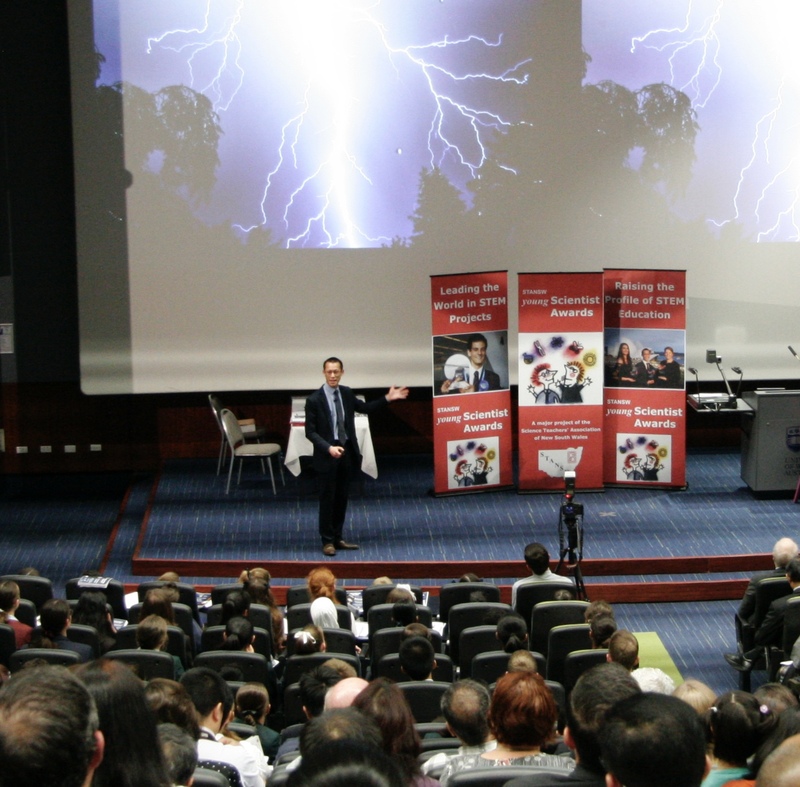 Another highlight of the evening was the enlightening and thought provoking keynote by Eddie Woo – mathematics teacher, 2018 Australian Local Hero and outstanding ambassador for teaching and learning. The ceremony was live streamed via our Facebook site and has already garnered over 1000 views. Please see our Presentation Ceremony Booklet for details of all the awards that were handed out on the night and the Photo Gallery folder for all official photographs from the evening.